Give yourself or a friend a gift that helps to relax! This eye pillow is filled with lavender and flax seed. Relax on the couch for some minutes and cover your eyes with the eye pillow. The smell of the lavender and the weight of the flax seed will help to calm and relax. 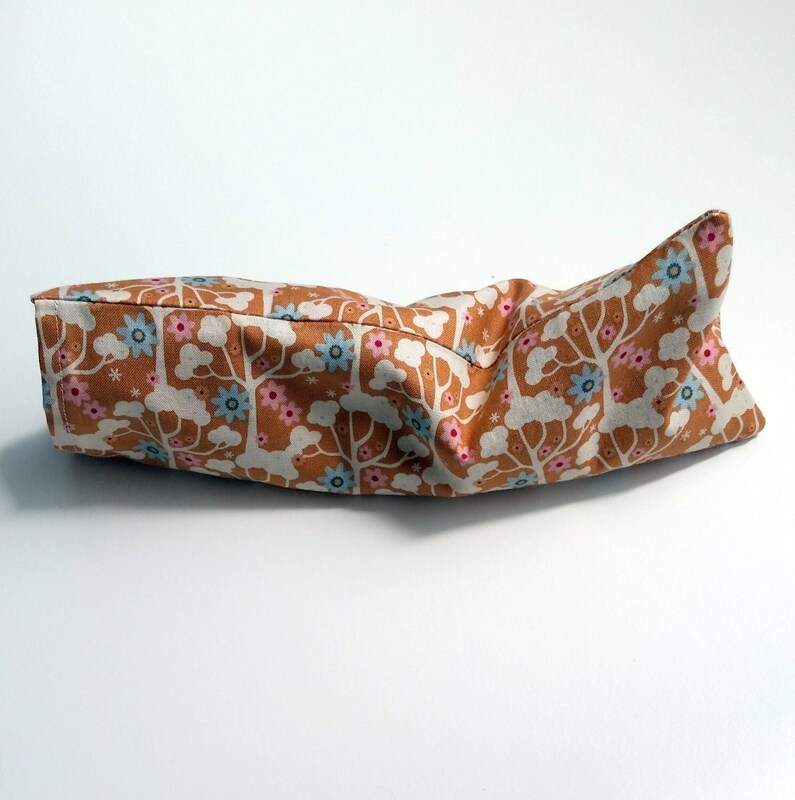 The orange cover has a beautiful flowerprint and it is removable. The lining matches the cover.